Nosebleed medically termed as Epistaxis is a common problem among children and adults. 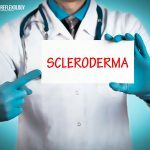 Although, it is a benign condition in itself, it has an alarming appearance that makes it a terrifying experience for children and adults alike. 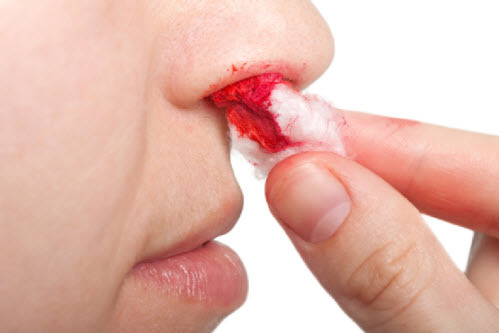 Nosebleeds are more frequent during cold, dry months, and it can be triggered by common colds, sinus infections, allergies, too much use of nasal sprays and environmental irritants. Although, home remedies, cold compress and over the counter medicines can control nosebleeds, but regular or frequent nose bleeding may be the symptom of a more serious illness like hypertension, leukaemia or arteriosclerosis, in which case professional medical attention is required. Healing acupressure therapy is an effective natural solution to the question of how to stop nose bleeding. There are a number of reasons from nose bleeding that range from the weather condition, irritants and allergens to certain illnesses. Here, we have listed some of the causes of nosebleeds. 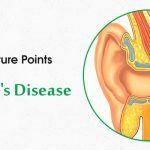 Here are a few effective acupressure points that can cure nosebleeds. Working on just two or three of the following points with your hand is enough to getter better quicker. 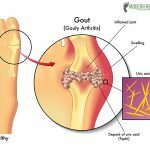 GV 26 or Governing Vessel 26 is one of the most important acupressure points for treating nosebleeds in both adults and children, and it shows immediate results. This pressure point is also termed the Middle of a Person, and it is located two-thirds way above the upper lip, right under the nose. This is a first-aid revival point for stopping nosebleeds and restoring consciousness in case of dizziness and fainting. It is also suitable for the treatment of maniac depression, epilepsy and seizures. 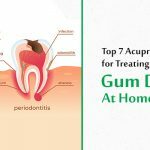 This point can be stimulated by pressing the point on the upper gum using firm pressure for 1 minute as you breathe deeply. St 3 or Stomach Meridian 3 is a significant point of acupressure and acupuncture treatment for prevention of nosebleeds. 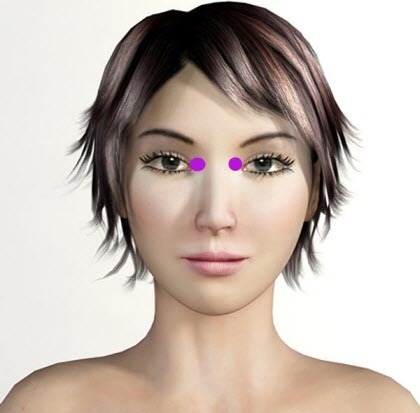 This point is also termed Facial Beauty, and it is situated on both sides of the face at the bottom of the cheekbone, directly below the pupil of the eye. Stimulating this pair of points helps in relieving nasal and head congestion, sinus pain and eye fatigue. This point can be activated by lightly pressing into the slight hollow underneath the cheekbone using the index finger for 1 minute while breathing in a relaxed manner. It is a local pressure point for eye problems, toothache and swelling of the cheek. It also helps in treating facial paralysis due to stroke and swelling of the knee. Acupressure point B1 or Bladder Point 1 is yet another effective pressure point to relieve nose bleeding in children and adults. This point is also known as Eyes Bright, and it is located in the indented spot at the inner corner of the eye, precisely over the tear duct. This point can be stimulated by applying steady pressure to the inner corners of both the eyes using the thumb and index finger for 1 minute while breathing in a relaxed manner. This is a first aid acupressure point to stop severe nosebleeds and is also useful for treating all types of eye problems like early stage cataracts, glaucoma, blurred vision, colour blindness, poor night vision, myopia, etc. Acupressure treatment for nosebleeds is incomplete without the inclusion of the pressure point LI 4 or Large Intestine 4 into the list. This is one of the most important points of acupressure therapy that is widely used to treat chronic pain and various types of health issues. It is also termed the Union Valley, and it is located in the joining between the thumb and index finger, at the peak spot of the muscle when the thumb and index finger are joined. Activating this point helps to relieve headache, sinus pain, nosebleeds, toothache and fever. This point can be stimulated in both hands by spreading the thumb and index finger apart and pressing into the web for 1 minute. Pregnant women should refrain from stimulating this point because it can induce labour. GV 16 or Governing Vessel 16 is another potent acupressure point that helps in stopping nosebleeds and prevents is recurrence in future. This point is also called the Wind Mansion, and it is situated in the center of the back of the head, in the huge hollow under the base of the skull. This point can be stimulated by bending the head forward and applying firm pressure into the hollow located at the base of the skull for 1 minute as you breathe deeply. It also aids in relieving neck pain, stiff neck, headache, dizziness, earache, eye pain, mania, palpitations and fear. 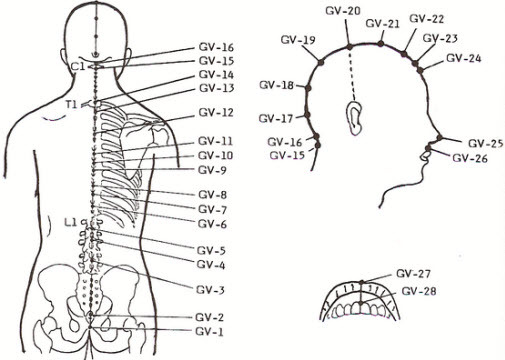 GV 23 or Governing Vessel 23 is a beneficial acupressure point for nosebleeds that shows prompt results. This point is also termed as the Upper Star, and it is located in the middle of the forehead, two finger-widths inside the front hairline. This point can be activated by applying steady pressure to the point with the index finger until you can feel soreness. Hold the pressure for 2 minutes and then release. This is the main point for all types of nose problems such as nasal congestion, nosebleeds, rhinitis, nasal polyps, and sinusitis. It is also useful for treating eye problems, facial swelling and psychological issues. 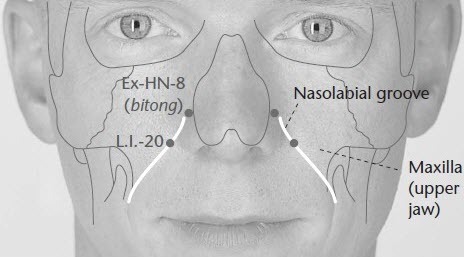 LI 20 or Large Intestine 20 is a vital facial acupressure point for treatment of nosebleeds. This point is also known as the Welcome Fragrance, and it is located in the nasolabial groove, in line with the midpoint of the lateral border of the ala nasi. This is an effective pressure point to treat nasal congestion, nosebleeds and all other disorders of the nose. It is also an important acupressure point for the skin. This point can be stimulated by applying steady pressure on both sides of the nose using the index finger and the thumb for 1 minute while breathing in a relaxed manner. 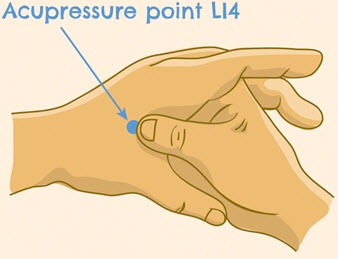 Acupressure point LI 11 or Large Intestine 11 is another significant point for treatment of nosebleeds. It is also known as the Crooked Pond, and it is located on the outer side of the elbow, at the end of the elbow crease when the arm is folded. This point can be stimulated by applying sharp and steady pressure on the point using the index finger for 1 minute. It is also an effective point for treating high fever, skin diseases, digestive disorders, diarrhea and menstrual issues. It is a local point for tennis elbow treatment. 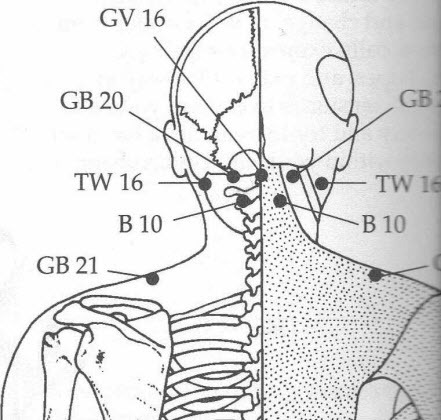 GV 14 or Governing Vessel 14 is a useful acupressure point for healing nosebleeds that show effective results. This point is also called the Great Hammer, and it is located at the back, below the neck, exactly below the spinous process of the seventh cervical vertebrae, approximately at the level of the shoulders. This point can be activated by applying steady pressure to the points using the thumbs. This point helps in curing nosebleeds by clearing heat, expelling the wind and tonifying the yang. It is also helpful for treating neck pain, epilepsy, fever, asthma, cough, common cold and back pain. 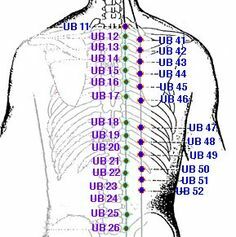 UB 12 and 13 or Urinary Bladder 12 and 13 are two beneficial acupressure points for nosebleeds cure. UB 12 and 13 are located on the back of the body – UB 12 is located 1.5 cun lateral to the GV line in level with T2 and UB 13 is located 1.5 cun lateral to point GV 12, in level with T3. UB 12 is known as the Wind Gate and UB 13 is known as the Lung Shu. 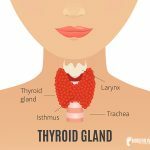 Applying pressure on these 2 points helps to relieve nasal congestion, asthma, cough, bronchitis, sore throat, skin disorders and emotional imbalances. Avoid exposure to dry, cold and dusty conditions; use a warm humidifier at home and stimulate these acupressure points to get lasting relief from the problem of nosebleeds.